I think that could work, but I've seen a (imo) better way done by the Samurai Carpenter on Youtube. He attaches guides on either side of the board that is to be planed/jointed and builds himself a sled for his router with which he subsequently takes many passes over the board to make the board's surface flat. I recommend watching it though for my answer to make easier sense. While using the router table would work similarly as his method, i think you would still need the screwed in/glued on guides on both sides. The downside of using the table is that you don't see what you are planing/jointing. None at the fence as you build a secondary fence attached to your piece of wood. Is there an easy way to set the bit to the right depth? Yes and no. You would search for the high-point of your piece and set the router to take away only a little bit, probably 2 mm (1/16th of an inch). Then you would increase the depth step by step for little increments until the piece is flat. Drawing a raster onto the wood with a pencil helps to see what has already been taken away. PS: I think in this application both terms, planing and jointing are valid as you would joint the first side and make them co-planar on the second side after the board is flipped. Please correct me if I'm wrong on this. I would like to use my router table as a jointer since I can not afford the cost of a jointer itself. What modifications would I need to do to the router fence (maybe?) to make it work the best. For jointing purposes, the main feature you need in your router table fence is independent setting for each side of the fence. The left side of the fence must be set flush with the router bit cutting plane. I prefer to use a robust straight bit with a 1/2-inch shank. The right side of the fence has to be adjusted a tiny distance back, depending on the amount of material you want to remove in each pass. Less than a millimiter should be fine. You should be able to measure the offset length between the left side and the right side of your fence. For instance, you can put a long rule flush against the left side of the fence and measure the gap on the right side of the fence, using a feeler gauge or something like that. Once you have a straight edge in your board, you cut the opposite edge on your table saw. Not the answer you're looking for? Browse other questions tagged jointer router-table or ask your own question. 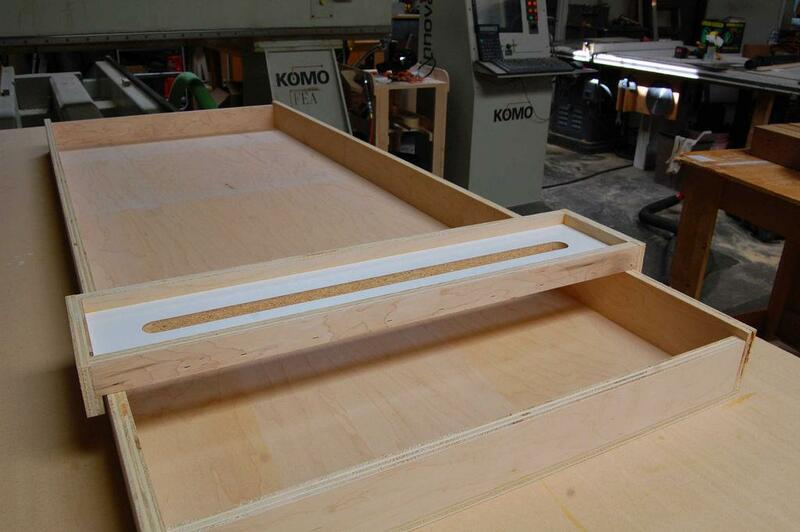 How can you safely operate a router table without a fence? What top surface approach is best for a router plate in a custom cabinet? What router to use for a homemade routertable?